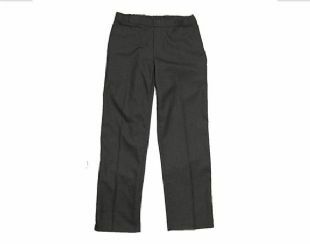 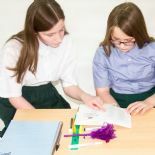 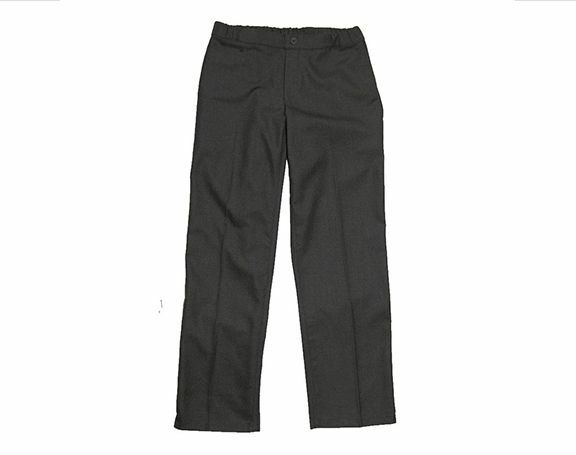 Innovative grey school trousers for ages 9-16 with comfort sewed-down seaming to minimise irritation. 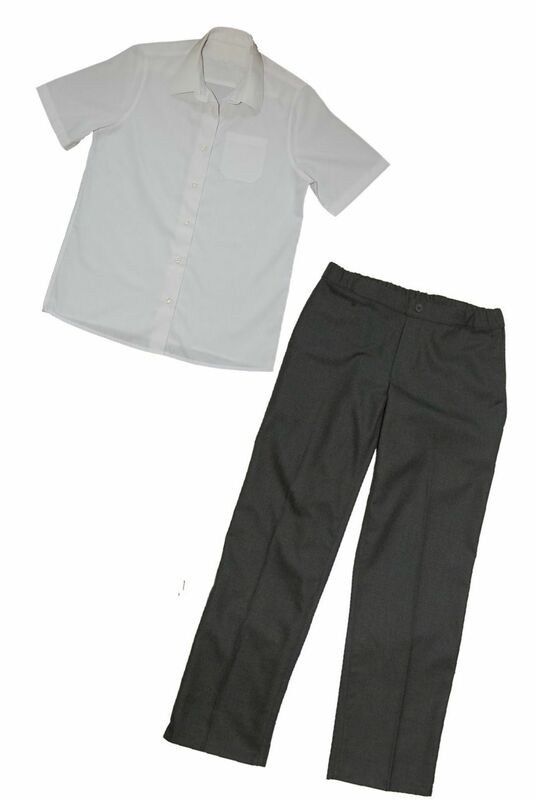 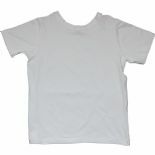 Designed for children with sensitivities, ideal for autism and SPD. 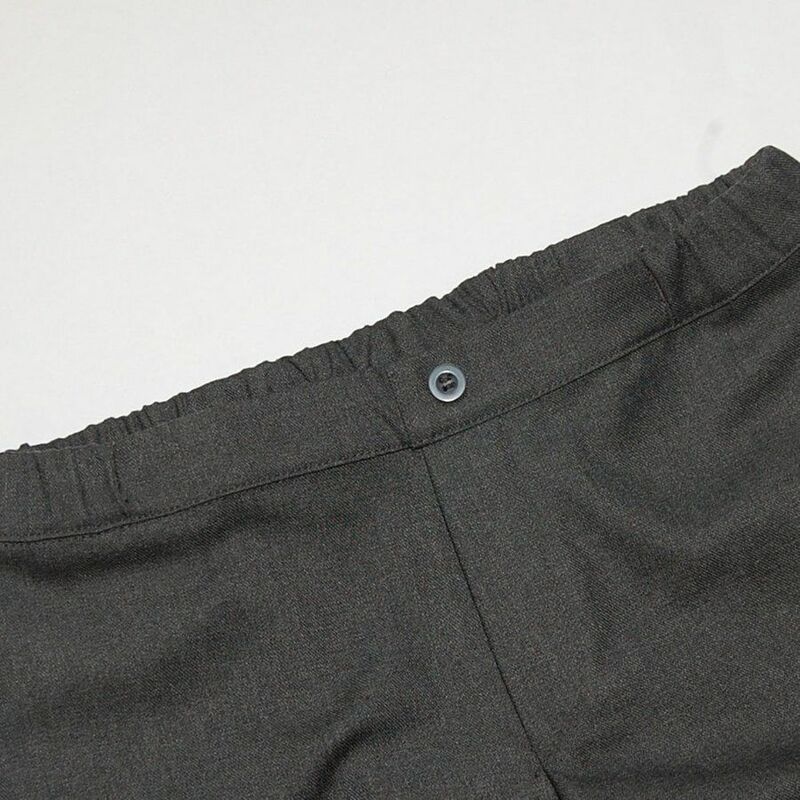 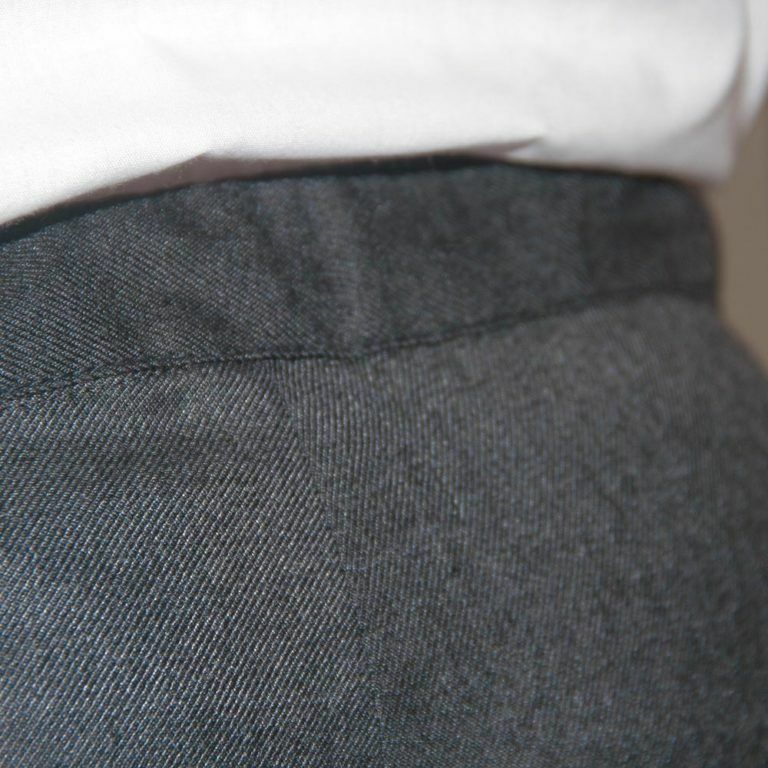 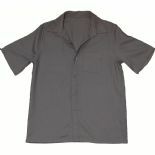 - Elasticated waist - no more fiddly fasteners, but looks like a regular button and fly!